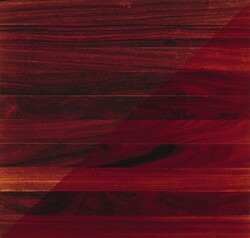 Color: Heartwood is vivid reddish orange when freshly cut, darkening to reddish- or purple- brown or black over time. Sapwood is cream-colored. Very uniform in color.